A Legislative history: Why is cost of attendance so complicated? Cost of Attendance (COA) measures the total education and living expenses for a student at a particular college or university, making it the key estimate of how much the student must budget for an academic year. However, the difficulty in creating these estimates often means that students and institutions are unable to accurately predict their expenses, leading some students to borrow more than they might need, while still others are unable to pay for basic expenses like housing and food. Congress first defined COA more than four decades ago, in 1972. Since then, well-documented returns to higher education and shrinking opportunities for students without postsecondary credentials have driven up demand for additional education. As a result, the college-going population has grown and student demographics have shifted in ways that could not have been predicted in the early seventies. At the same time, the increasing number and diversity of higher education institutions, along with new technologies, have shifted the way education is delivered. These factors have made estimating COA increasingly more difficult – and more important. Financial aid awards hinge on a college’s or university’s reported COA. But with the ever-evolving landscape of postsecondary institutions and the diversification of the student population, legislative updates to COA have fallen short of helping institutions and students reliably predict actual student budgets. Lawmakers have essentially left the extraordinarily difficult task of creating accurate cost estimates up to the colleges themselves. If these calculations are not made with great care, the institution risks misinforming students about the actual price of enrolling at a given school. The original Higher Education Act (HEA) of 1965, as well as a subsequent reauthorization of the law in 1968, explicitly set maximum awards for federally-insured loans from private lenders. These limits were the same for all students, regardless of the costs of the institution they attended. Since grants directly from the federal government to students were not yet available, this meant that for the first few years, federal financial aid operated without needing to estimate a student’s COA. The 1972 reauthorization of the law was a landmark year for federal financial aid, as it created what would later become known as the Pell Grant program–aid that went directly to low-income students, rather than to institutions. This new grant (then called the Basic Education Opportunity Grant–BEOG) would cover the difference between a student’s COA and their EFC, limited to no more than half the student’s total “cost of attendance.” Thus necessitating the calculation of individual charges for tuition and fees, room and board or commuting expenses, books, and an allowance for personal expenses. Loans were still determined by individual borrowing limits, and were not related to a student’s educational costs (though Congress increased the loan limits as part of the 1972 act). But 1972 also marked an important turning point for federal financial aid–it was the first time federal aid was made available to vocational and trade schools. This helped pave the way for the diversity of institutions and individuals participating in the federal aid system today–and for the increasing complexity of COA. In 1976, Congress expanded the uses of COA beyond grants to include federally backed student loans. Congress still set specific loan limits for most students. There was, however, one exception: the borrowing limit for first-year undergraduates was set at the lesser of half of their COA or $2,500 (the maximum for other undergraduate students). COA included the student’s tuition and fees, plus an estimate made by the institution of expenses for room and board, commuting, and costs of books. Lawmakers further expanded the use of COA calculations when it reauthorized the HEA in 1980. That year, Congress renamed grants to students after their champion, Rhode Island Senator Claiborne Pell. The grant would cover 50 percent of a student’s COA, or up to $1,900. Over time, the law scheduled increases up to the lesser of 70 percent of COA or $2,600, by 1986. Additionally, Congress established a new loan program for parents of dependent undergraduates in 1980–eventually known as the PLUS loan. As Congress increased the availability of federal grant aid to students, it also looked for ways to limit spending on these programs. Lawmakers set out to achieve this by limiting the percentage of COA that could be covered by grant aid and by providing a more detailed definition of cost of attendance that was aimed at preventing abuse. These changes resulted in the COA definition we largely use today, which takes into account tuition and fees for full-time students; expenses for books, supplies, transportation, and other personal costs; and room and board costs. This allowed institutions to set an allowance for different groups of students, as well as to use the tuition and fees “normally” charged, rather than calculating actual expenditures for each student. These allowances were set at different levels for students living at home, in on-campus housing, and those living off campus, and also included an allowance for child care costs for students with dependents. 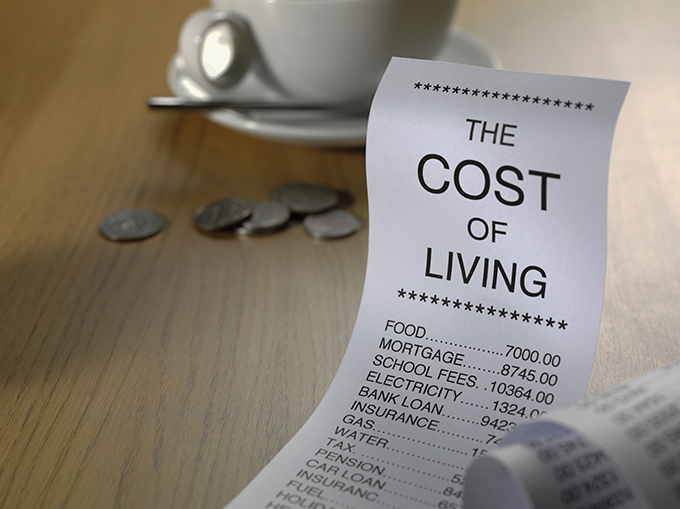 Different cost of living components were also written for students in correspondence courses and study abroad programs; for students with dependent children; and for disabled students. Ensuring students living on a military base or in military-funded housing could include board, but not room, in their costs of attendance (2008). However, in 1986, federal lawmakers made one significant change to the HEA that continues to have major ramifications for how colleges calculate the COA. In response to the Reagan Administration’s attempts to reduce federal spending on financial aid by changing the underlying needs analysis that the federal government uses to determine a student’s eligibility for financial aid, the Democratic-led Congress barred the U.S. Department of Education from regulating any component of federal needs analysis, including the COA. This prohibition remains in place today and has limited the Department’s ability to standardize how schools calculate different elements of cost of attendance. Over time, the students enrolling in higher education and the schools that serve them have changed dramatically, largely in response to the ever-increasing economic necessity of postsecondary education. Estimating costs for this now highly diverse group has necessitated updates to how COA is calculated. Lawmakers have responded to this need by making incremental changes to COA methodology for students with different needs. But COA struggles to keep pace with the realities of today’s students. As Congress prepares to reauthorize the HEA once again, the time for making small tweaks to the COA is over. A wholesale rethinking of this essential provision is long overdue. The authors would like to thank Clare McCann, who provided extensive research and writing on earlier versions of this blog while she was employed at New America.